A ladies dusky blue scarf with off white detailing. Long straight scarf. Blue Check Ladies Scarf. 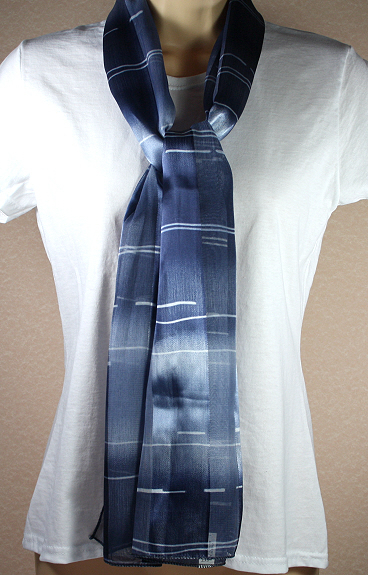 A smart light and dark blue 'burberry' style checked scarf. Blue Patterned Ladies Scarf. A criss cross pattern with diamond band in dusky blues.Long straight scarf.